Artwork for House season 6. I know Ausiello posté it but I don't think he made it. 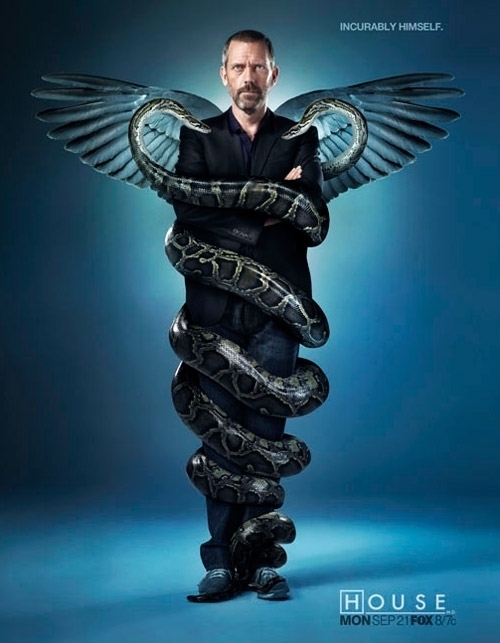 Wallpaper and background images in the House club tagged: house md house season 6 artwork promo snakes on cane rattle snakes hugh laurie. It's the final marketing campaign for House :D I love it!! Especially after it said they were real snakes!